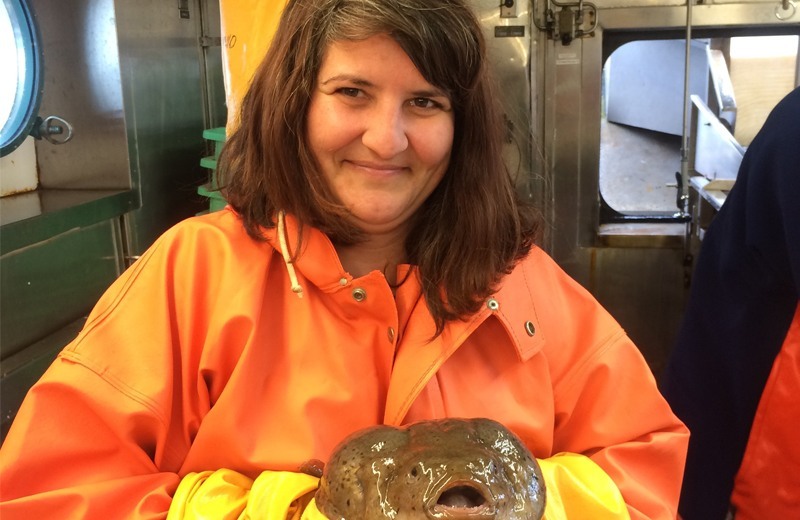 A Bering Sea fish will soon play a role in the education of University of La Verne students enrolled in assistant professor of mathematics Emily Cilli-Turner’s probability courses. Cilli-Turner traveled to the Eastern Bering Sea with a group of National Oceanic and Atmospheric Administration (NOAA) scientists on a research mission as part of the federal agency’s Teacher at Sea program. The team of scientists conducted a population survey of walleyed pollack. The experience allowed Cilli-Turner to gain knowledge and experience along with data she plans to use in class. “I was able to get real-world data, and I am going to share it with students and allow them to analyze it to get authentic experiences,” she said. Cilli-Turner, who began teaching at the university this fall, is one of 34 educators from around the country who participated in the NOAA Teacher at Sea 2018 Field Season. The program allows educators to take part in real-world, hands-on oceanic and atmospheric, and fisheries research. They then bring that knowledge back to their classrooms to enrich their courses through analysis and discussion. Cilli-Turner embarked on her research voyage aboard the NOAA Ship Oscar Dyson, a survey ship, for about three weeks during July and August 2018. 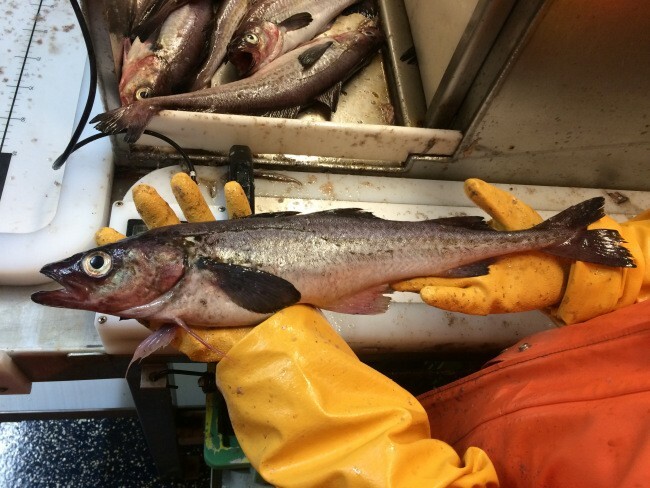 She studied the walleye pollock in the Bering Sea, where the largest concentrations of the species is located. Cilli-Turner assisted other researchers on the ship to gather data to determine how fishing might affect the population of the species. To collect the necessary data, the research team used acoustic equipment to locate schools of pollock. Once found, nets were deployed and a catch brought on to the ship, she said. The catch was weighed and from that a sample collected. In the lab, other fish were taken out and only the pollock left. Each pollock was measured, weighed and the otolith, or hearing bone, removed to help determine the fish’s age. The internal organs were checked to determine where each fish was in its life cycle. Cilli-Turner is using the experience to create a lesson plan for her probability course. Part of her lesson will also show how degrees in mathematics can be applied to real-world situations and careers, such as protecting the oceans. The professor will deliver a talk in January at the Joint Mathematics Meetings of the American Mathematical Society and the Mathematical Association of America in Baltimore, Maryland. For Cilli-Turner, the experience at sea was personally transformational. “It was a once-in-a-lifetime experience that allowed me to see parts of Alaska that many do not. I also met interesting people that are passionate about science and conservation,” she said.